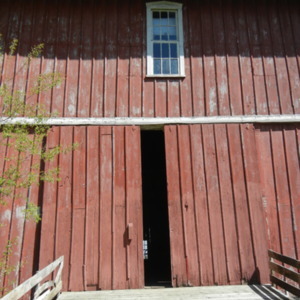 Creator is exactly "McCray, Linzee Kull"
Entrance to the main part of the octagonal barn. Built in 1883. Restored by Rich Tyler. 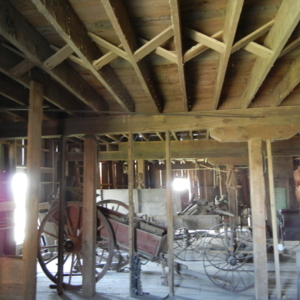 Interiors of the barn’s attached shed. 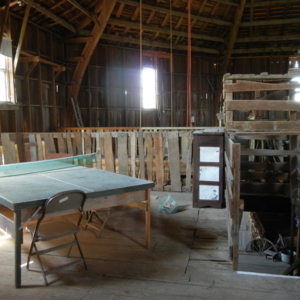 The purpose of this shed was to provide more storage as well as feeding stalls for the farm’s livestock. 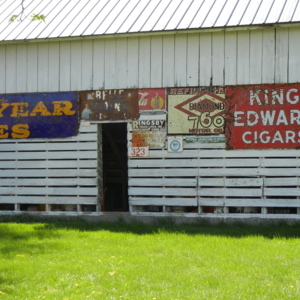 Built in 1883. Restored by Rich Tyler. 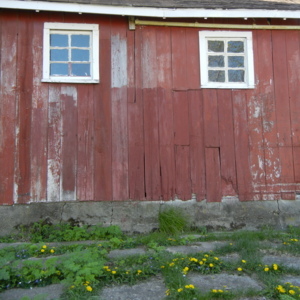 A different exterior view of the barn’s attached shed. 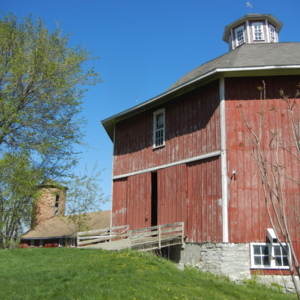 Exterior view of the entire barn and its unique bell-shaped roof. Built in 1883. Restored by Rich Tyler. Built in 1883. Restored by Rich Tyler. 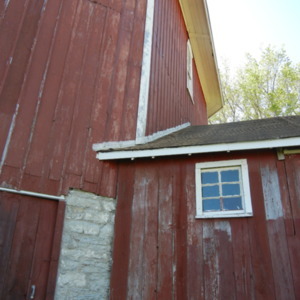 Close-up exterior view of the barn's attached side-gabled shed. Built in 1883. Restored by Rich Tyler. 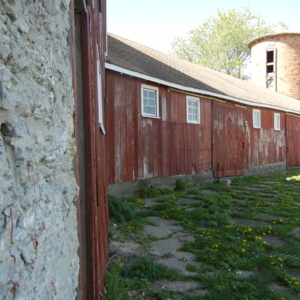 Close-up exterior view of the barn and its attached side-gabled shed. Built in 1883. Restored by Rich Tyler. 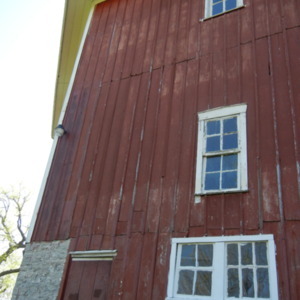 Close-up exterior view of the Secrest octagonal barn. Built in 1883. Restored by Rich Tyler. 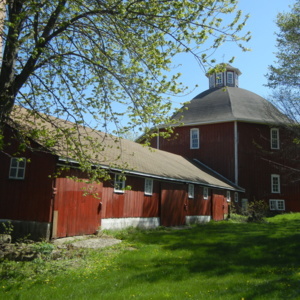 Exterior view of the barn’s side-gabled shed. 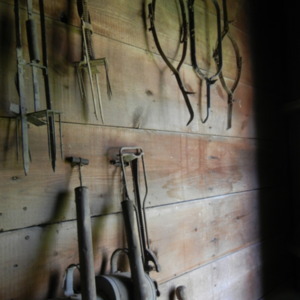 The purpose of this shed was to provide more storage as well as feeding stalls for the farm’s livestock. Built in 1883. Restored by Rich Tyler. 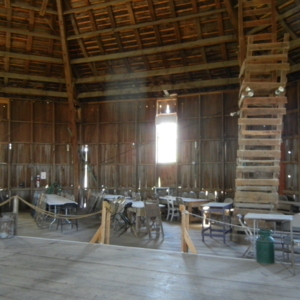 The structure of the barn contains three levels and measures 75 feet high with a diameter of 80 feet. 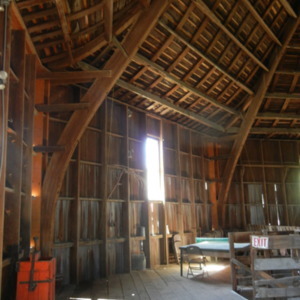 It was built to house livestock and store hay and straw. Built in 1883. Restored by Rich Tyler. 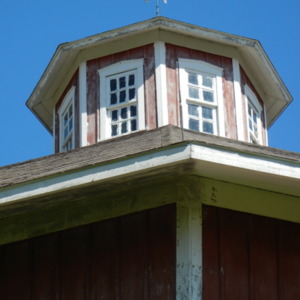 Close-up of the cupola, originally used for the ventilation of the barn. 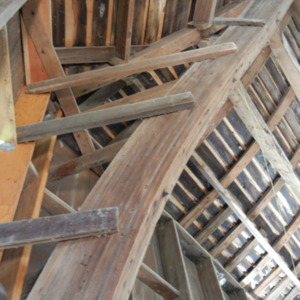 The interior of the cupola is accessible by a suspended internal stairway. Built in 1883. Restored by Rich Tyler. 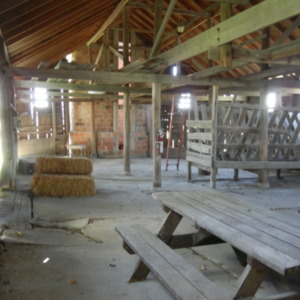 Interior of a storage area located in the west side of the barn. Built in 1883. Restored by Rich Tyler. 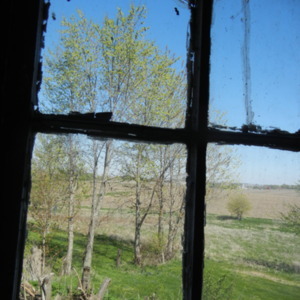 View out of the window inside a storage area located in the west side of the barn. Built in 1883. Restored by Rich Tyler. 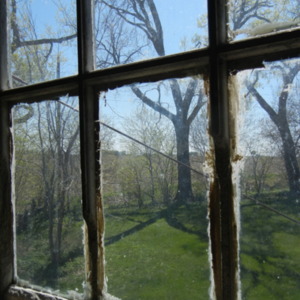 View out the window inside a storage area located in the west side of the barn. Built in 1883. Restored by Rich Tyler. 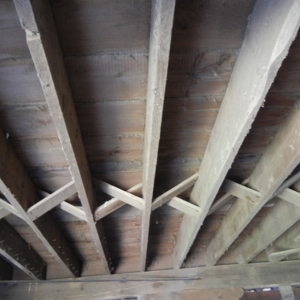 Beams in the ceiling of the barn’s middle level. Built in 1883. Restored by Rich Tyler. 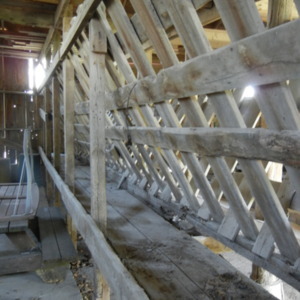 Middle level of the barn. 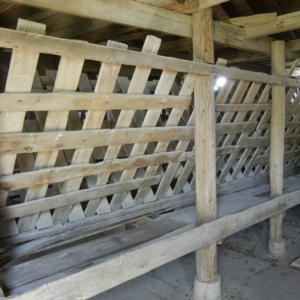 Much work has been done recently on its restoration. 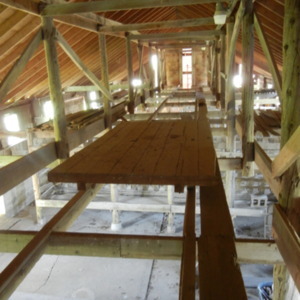 Many of the rooms on this level were likely used for storage. Built in 1883. Restored by Rich Tyler. 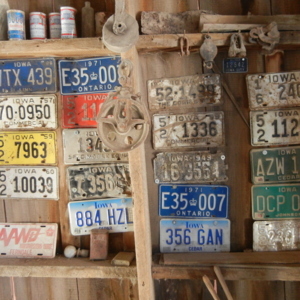 Farm tool storage area. Built in 1883. Restored by Rich Tyler. 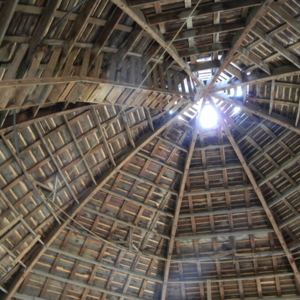 Interior of the roof of the side-gabled shed, which was added onto the octagonal barn. 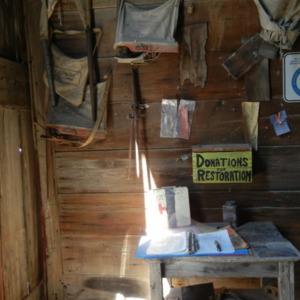 The purpose of this shed was to provide more storage as well as feeding stalls for the farm’s livestock. 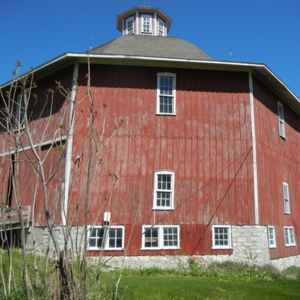 Built in 1883. Restored by Rich Tyler.